1) How do I make a booking? Availability checks may be made by completing the University online enquiry form https://fs22.formsite.com/PlymouthUniversity/form8/index.html. If available an offer of accommodation will be sent within the next few days with payment and arrival instructions. To secure your booking you will need to make the full payment in advance in accordance with the booking instructions. Your booking is not confirmed until payment in full is received by the University and confirmation of your booking provided. Please note that all bookings are made on a “room only” basis. 2) How do I cancel or alter my booking? In the event of cancellation received by the University at least one week prior to the due date for arrival, the University will refund the full amount paid. In the event of cancellation received by the University later than one week before the due date for arrival, cancellation will result in forfeiture of one night’s charge per room booked at the relevant rate per room. Subject to availability, alterations to bookings can be made up to one week prior to the due date for arrival to increase or decrease the number of people staying or rooms booked. Any decrease in numbers after this date, will result in forfeiture of one night’s charge per room booked at the relevant rate per room. 3) What times do I need to check in and out? Please note that check in on the day of arrival is available from 14:00 and on the day of departure check out is by 10:00. On departure, please return your key to the reception desk at 41 Gibbon Street, Plymouth, Devon PL4 8BT. If closed or checking out outside of opening hours, please post your key in the letter box at this address. 4) What are the opening times of reception? 10 minutes prior arrival please phone +44 (0) 7815 535 882 for further instructions. Please note that Monday to Friday after 5pm and weekends we operate an on call reception desk, that is why we ask that 10 minutes prior arrival you phone +44 (0) 7815 535 882 for further instructions. 5) Are there any parking facilities? Parking on campus is highly restricted and where available, there is a charge of £10 per night for a car and £20 per night for a minibus. Parking should be requested in your initial booking, and if available, details will be provided on confirmation of your request. If parking is booked, it will be confirmed in your booking confirmation. If we have been able to reserve a parking space for you, this will be made available to you when you collect your room keys. 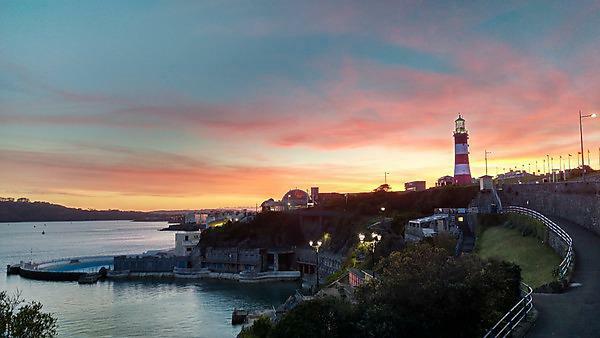 However, please note that Plymouth City Council operates 50 car parks and more than 5,200 parking spaces in Plymouth. 19 of these car parks are situated in and around Plymouth city centre in close proximity to the University campus. Further information on parking in Plymouth city centre, including the park and ride service, can be found on this link http://www.plymouth.gov.uk/parking. 6) Do I need to bring towels and bedding? Towels and bedding are provided for you as well as complimentary shampoo and shower gel. 7) Are there any laundry facilities on campus? Yes, there are laundry facilities located within the accommodation area which you are welcome to use. The machines are coin operated and you pay per use. 8) Are there any places to eat on campus? All of our self-catering rooms have access to the kitchen facilities, including cookware, utensils, crockery and cutlery. A variety of supermarkets are only a short walk away. There are also plenty of small convenience stores that are usually open until late. If you prefer not to cook, there are a number of cafes at the University campus at which you can eat. You don’t need to pre-book to eat at one of our cafes. Our campus cafes provide a range of hot food, salad, sandwiches, soups and drinks with a real focus on local, sustainable produce. No food or drink is included within your booking. The booking is on a ‘room only’ basis. 9) Will there be a television in my room? Due to television licensing laws, we do not provide televisions in the bedrooms. 10) Will I be able to access the internet from my room? Yes, WiFi internet access is available in all common areas and in your room. Other WiFi areas are available around campus. The University provides a guest Wi-Fi service. The first 4 hours of connection, every day, will be free. After this time a payment will be required. 1) Select “withPlymouth” from the Wi-Fi connection options on your device. 2) A ‘Sign-In Required’ message may appear. Select ‘ok’. 3) You will be directed to the ‘Connect with Plymouth University’ page. Scroll down this page for your options. Select ‘4 Hours Free’. 5) You will be asked to fill out your first name, last name, email address and agree to the terms and conditions. After you have completed this, click on submit. 6) You should now be connected to the Wi-Fi. At the end of the 4 hours free period you will be redirected to authenticate and agree to a payment. Payment is by debit/credit card and is processed by the hosting company which is called WiFi SPARK. Should you have any problems with payment you will need to contact the Guest Wi-Fi help desk on 0344 848 9555 or Support@wifispark.com. University staff and students should use eduroam to connect to the wireless network. Instructions for connecting to eduroam. 11) Does the accommodation have lifts? Some of our accommodation has lifts. Please be sure to notify us when booking if you have any mobility problems or other accessibility issues, so that an accessible room can be allocated if available. We are already taking bookings for summer accommodation 2019, so please complete our online enquiry form today and a member of our team will be in contact once our room availability has been confirmed. If you are a student, at any educational establishment, please email us at summeraccommodation@plymouth.ac.uk. Please note that for Summer 2019 we can only accommodate guests from 8 July to 31 August 2019. General summer accommodation enquiries: Monday–Friday, 9:00–17:00.